Making a big life change is pretty scary. But, you know what’s even scarier? Regret. This February I left behind the familiarity of my friends, family, university, and home for a five-month study abroad experience in the heart of Sydney, Australia. I took the risk of adventure. I was living in an unfamiliar city in an apartment with four strangers. I was attending the University of Sydney, where enrollment reaches almost 50,000 students. Quite the risky change from my comfortable dorm room at Butler University, where the enrollment barely reaches 5,000. But if I didn’t take the risk to get on that airplane six months ago, I would have regretted it. I embraced the change and I chose the risk. And, against my mother’s will, I kept taking risks. 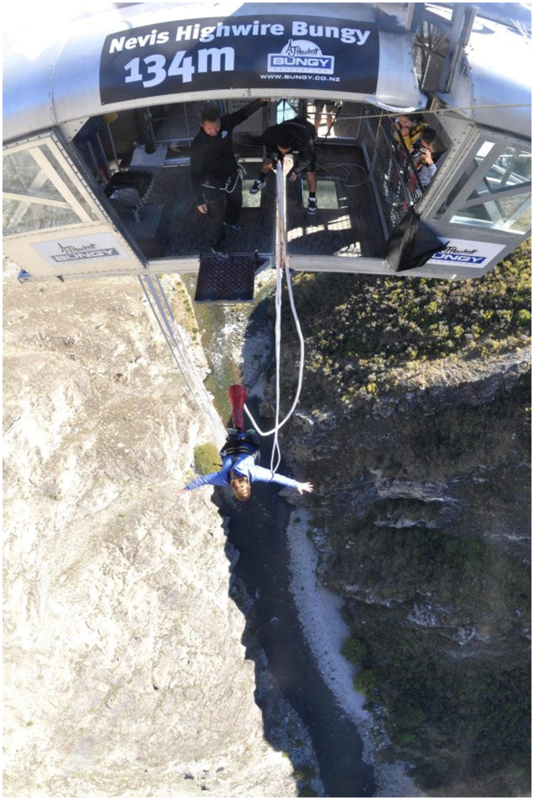 During a trip to New Zealand in late March I decided (but mostly forced) myself to take the risk and bungy jump. The Nevis Bungy in Queenstown, New Zealand, is one of the tallest in the world, measuring over 456 feet high. I can honestly say this was the scariest thing I have ever done. You’ll be sure to see the fear in my eyes and my grip on the instructors arm in the video below, but I would still take the risk and do it all over again. In a second trip back to New Zealand, I had a free day of exploring the capital city, Auckland. A large tourist attraction is the Sky Tower, the tallest building in the Southern Hemisphere (think the Seattle Space Needle, but double the height). 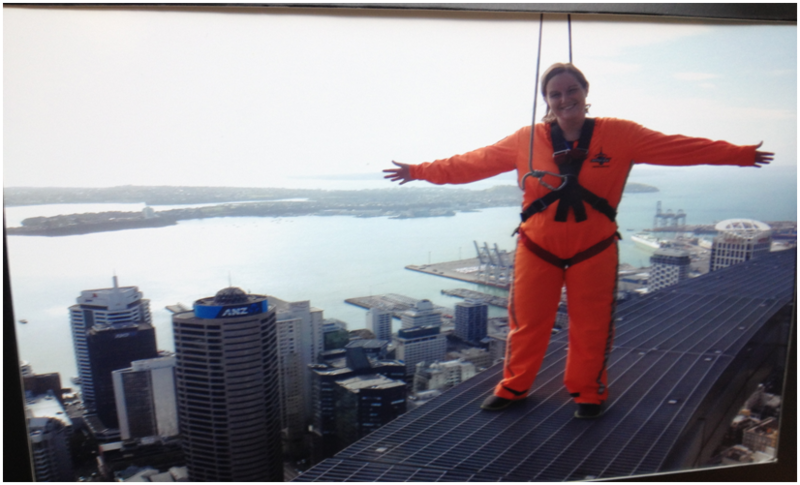 I took the risk and did the guided walking tour around the outside of the Sky Tower. I had thought of every reason for something to go wrong, and it didn’t help that another participant was using this experience to get over his fear of heights and I could feel his legs shaking through the platform—talk about risk. Anyone who knows me knows how terrified I am of open water. Being in the middle of the ocean with no sight of land? Why is that appealing to people? But, being in Australia I didn’t think I could leave the country without seeing the Great Barrier Reef. 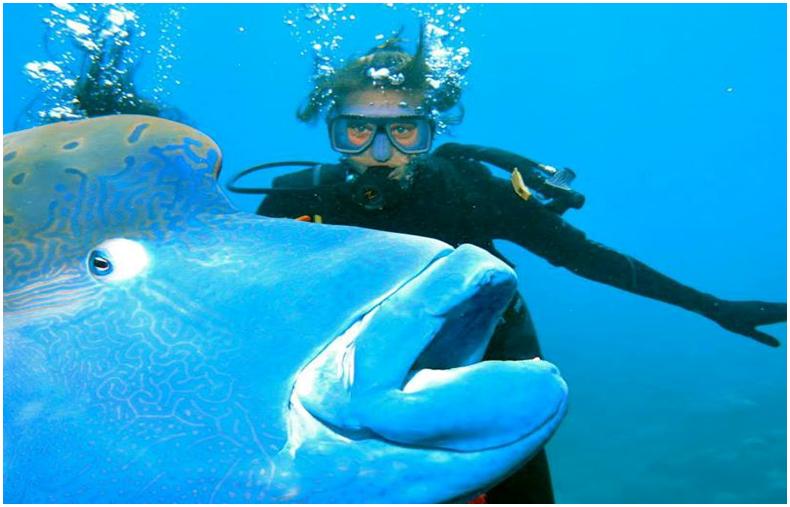 I took the risk, conquered my fear, and had a great time snorkeling and scuba diving, an experience I will never regret. None of these amazing experiences would have happened without a little bit of risk and a lot of faith. Kelsey O’Shaughnessy is a student at Butler University and studied abroad with IFSA at the University of Sydney in 2013.